Banana Bread Oatmeal sounded absolutely delicious for breakfast while stuck in snowy Boston. 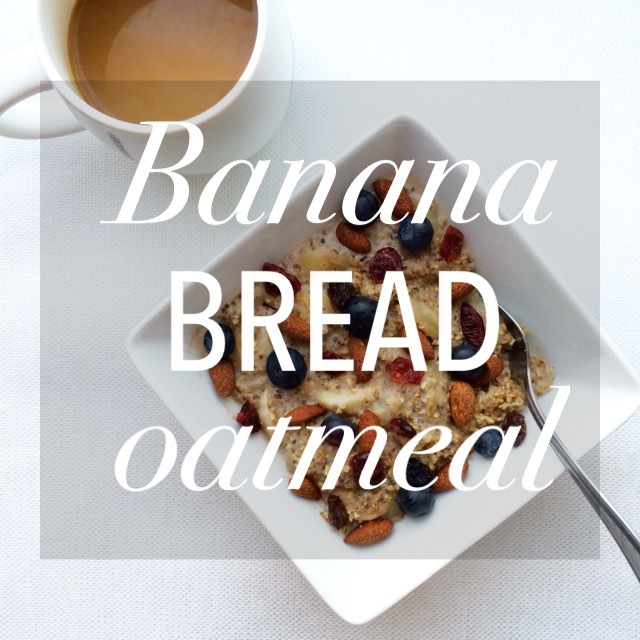 The sliced bananas cook directly in the oatmeal and transform into something sweet and gooey. No extra sweetener needed for this one. Top with fresh fruit like blueberries, cinnamon covered almonds and dried cranberries for a hearty breakfast. I made this last week during yet another snow storm in Boston. Great week to move, right? 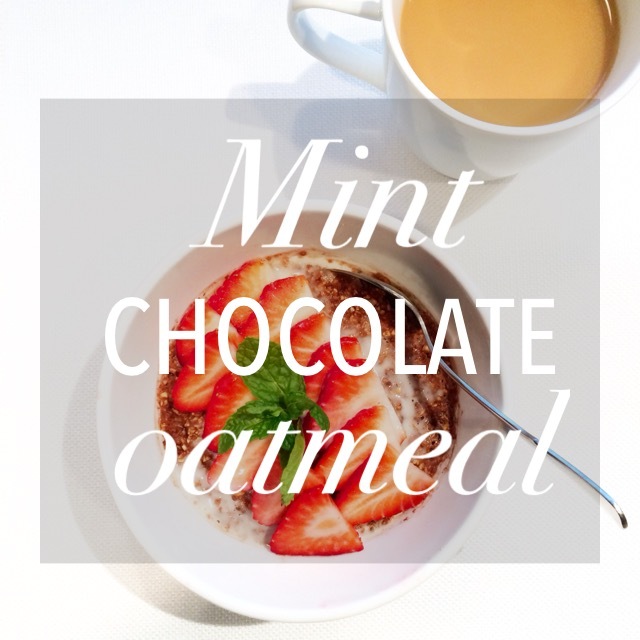 This Mint Chocolate Oatmeal was refreshingly different and a cool take. It’s most likely something I won’t eat daily for breakfast, but I think this would be a fun Saturday morning breakfast during the holidays. 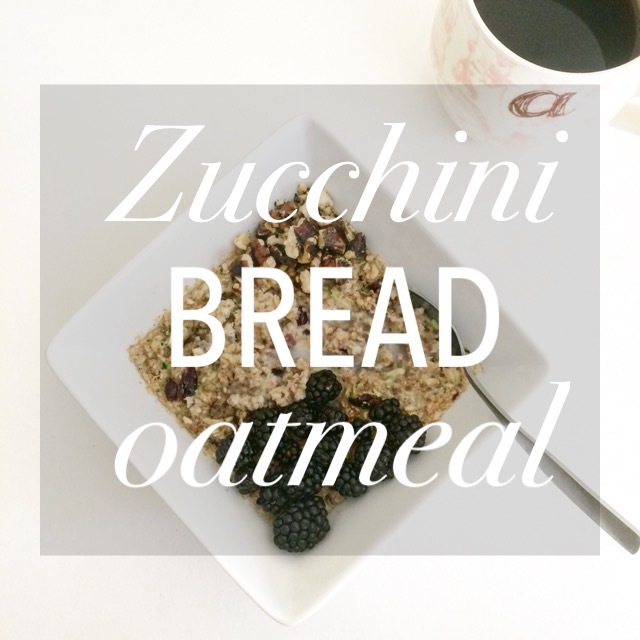 The beauty of using steel cut oats is that you don’t need to blend the oats for a smoother consistency and they give a heartier feel to the oatmeal. I added applesauce to help cut the cacao powder and mint and to give the oatmeal some more “fruit.” The strawberries complemented the chocolate and mint flavors perfectly. I made the Mint Chocolate Oatmeal in honor of the blizzard Juno: something hearty and definitely cozy, but could still give you a chill. If pumpkin is the poster child of fall, then cue gingerbread for being the poster child of Christmas and winter. I couldn’t bring myself to debut this before Thanksgiving. Gingerbread before Thanksgiving? It just didn’t seem right. I quite enjoyed eating this Gingerbread Oatmeal; it was a welcomed change from pumpkin and its pumpkin spice flavor. Molasses has a flavor all on its own; that dark, viscous syrup contains a uniquely sweet taste. Cue the ground ginger, cloves and cinnamon, and your oatmeal is transformed from basic to festive. 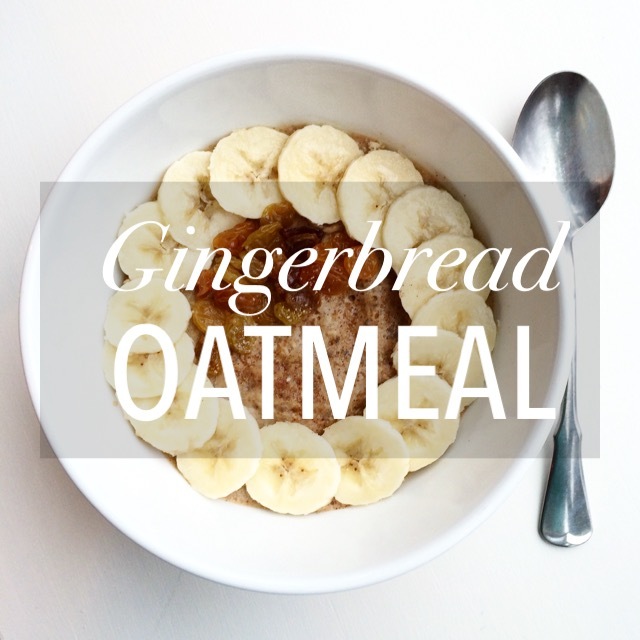 Have some Gingerbread Oatmeal and now go tackle that Black Friday Shopping or post-Thanksgiving workout.